Jervis Bay Huskisson Accommodation Huskisson or "Husky" as it's colloquially known is the hub for some of the most popular attractions on Jervis Bay. Whale and Dolphin watching cruises on pristine Jervis Bay depart most days weather permitting, to watch the Dolphins and Southern Wright and Humpback whales perform their acrobatic displays and are an awe-inspiring thrill to watch. 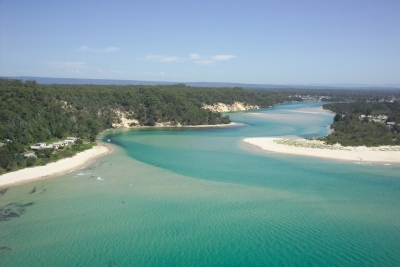 Situated in the midst of a Marine National Park, Huskisson takes full advantage of the Coastal views out to Point Perpendicular, the sun, surf and sea atmosphere. The relaxed style of "husky" is further enhanced by many Cafes, Restaurants, Clubs and Pubs with the weary traveller having the choice of numerous side-walk Cafes to simply take time out and enjoy the casual sea side experience.